The FCC’s most recent report on the cost of cable found that the price of expanded basic cable service increased by 5.1 percent in 2014, and additional reports show that those prices have continued to rise unabated, ever since. Millions of consumers are now cutting the cord from CABLE COMPANIES that provide television services while keeping the one that provide broadband internet. The idea: Replace traditional broadcasting with video streaming so you can access the same television programs you love via the web. iKONIX MEDIA TV is a centerpiece for consumer strategy to stream FREE unlimited media content that would normally only be accessed through subscription based services. Subscription based services offer recently-broadcast television programming, complete seasons of past TV episodes, and movies. iKONIX MEDIA TV allows FREE access to the same media content without SUBSCRIPTION OR MONTHLY FEES!!!! 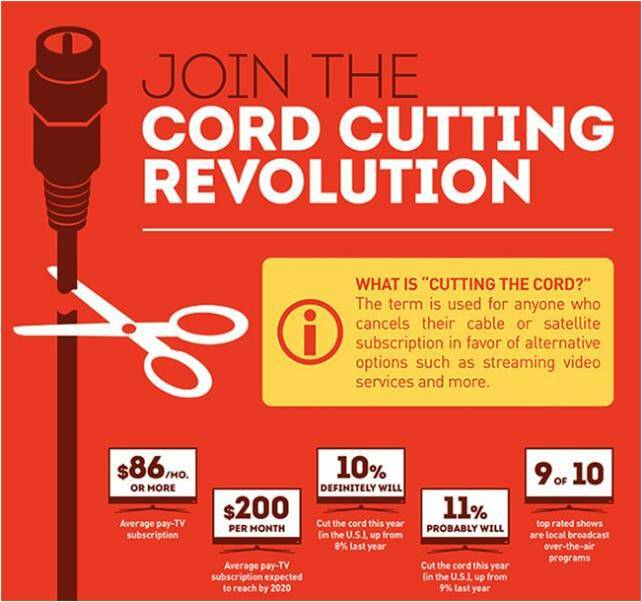 To completely CUT THE CORD from cable, a consumer would need high speed internet, a TV equipped with an HDMI connection, an iKONIX MEDIA TV and an Amplified Indoor HD Antenna to receive local stations in HD.